Garden Fantasy gives your bedroom a cheerful feel, the dainty flowers and delicate leaf details on the duvet covers and pillow shams have a lovely natural look. 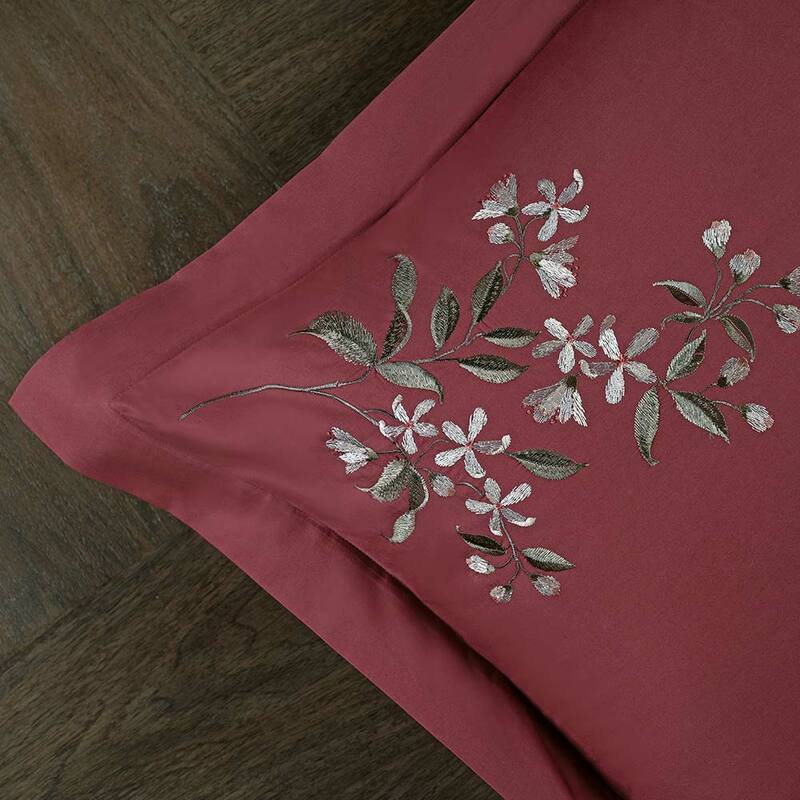 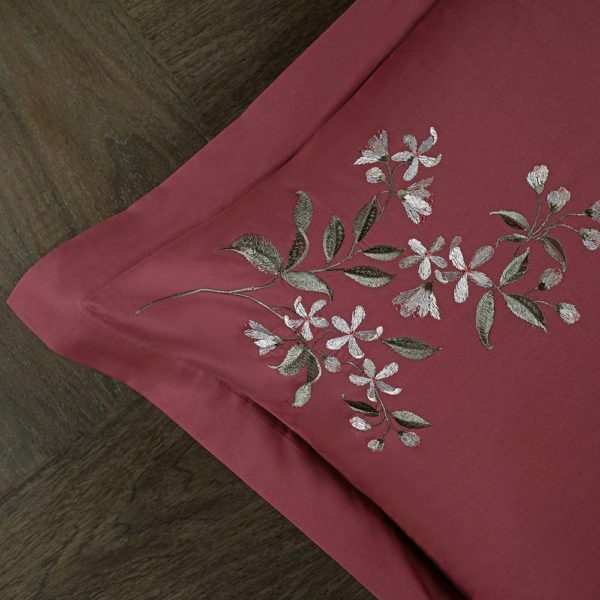 The floral patterns are carefully embroidered with multiple coloured threads that perfectly compliment the rich shades of cotton. 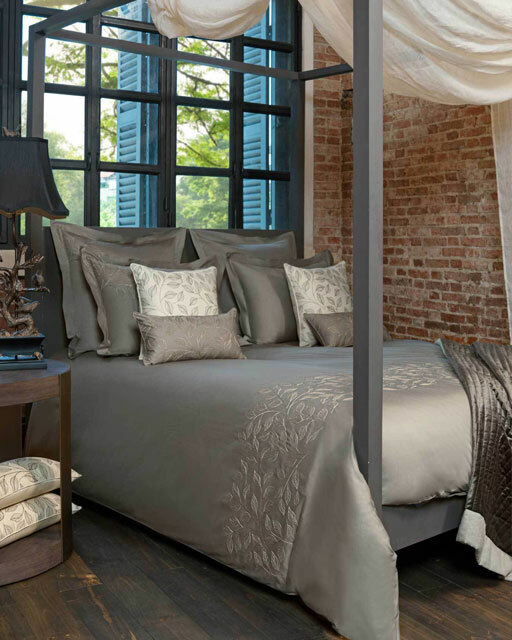 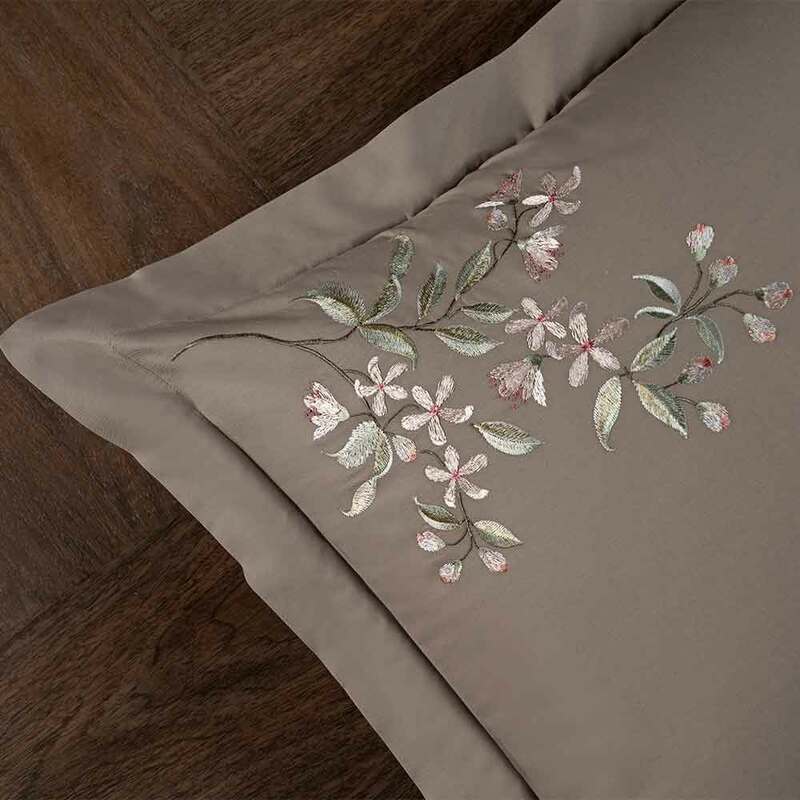 This design adds a touch of charming femininity to your bedroom. 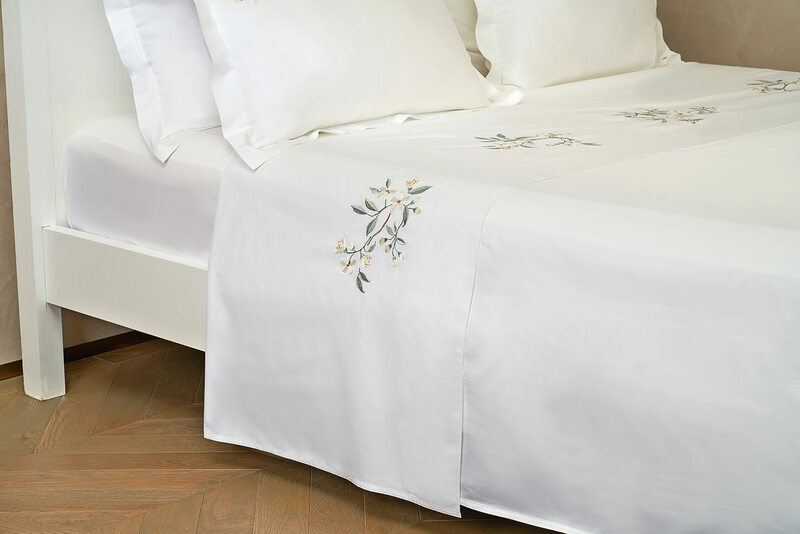 You can keep super cosy as the smoothness of the fabric is superbly comforting making the sheets a pure delight to sleep beneath. 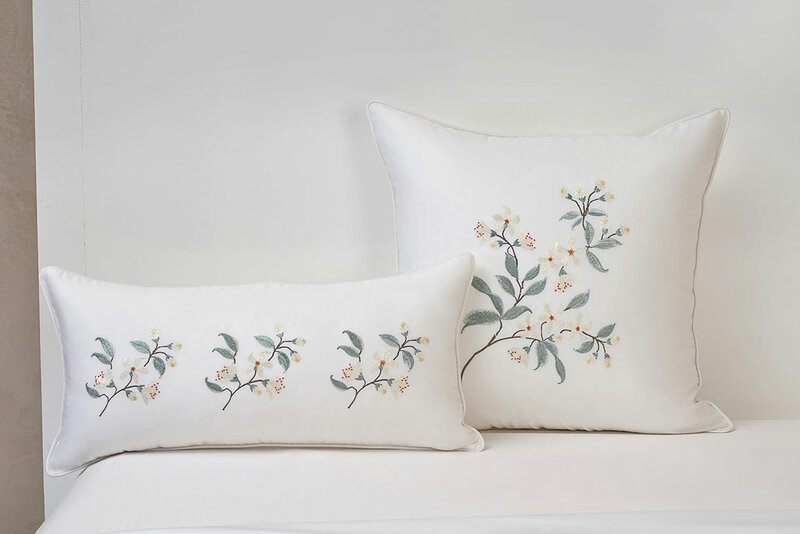 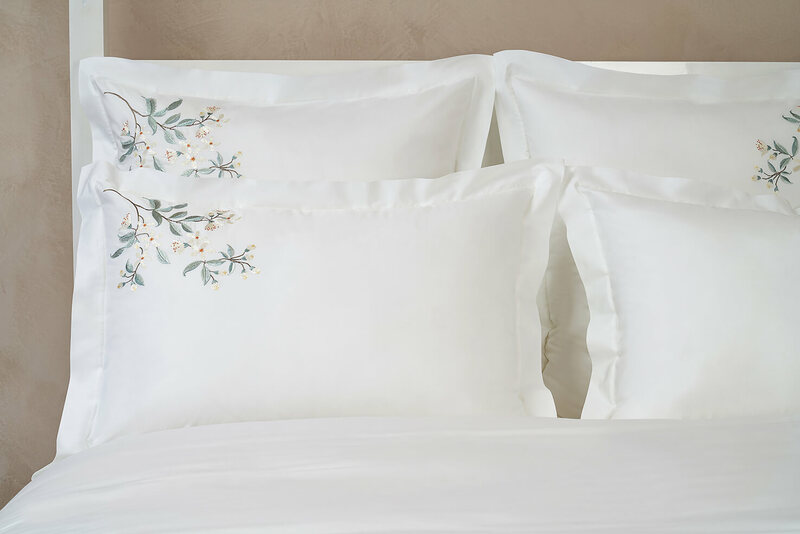 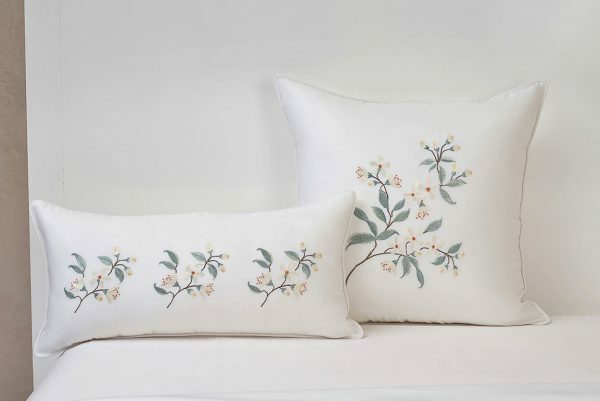 Our pair of pillow shams have an extra border beyond the stitched edge, beautiful embroidery patterns and are finished with mother of pearl buttons to keep your pillow securely inside. 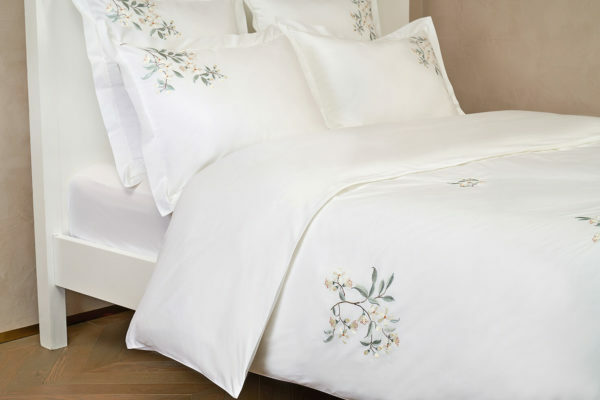 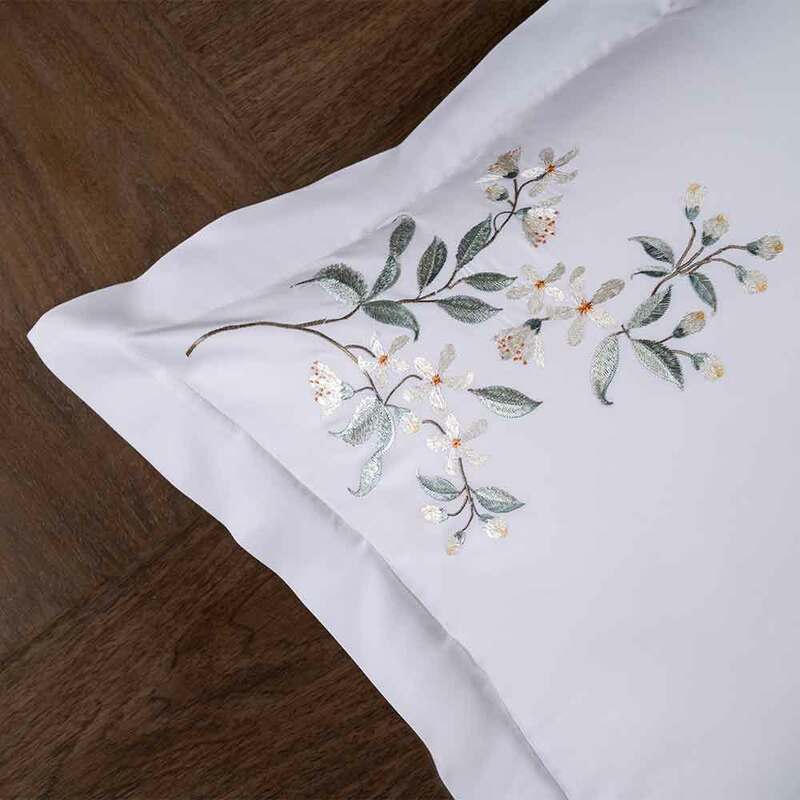 Our luxurious cotton duvet covers are stunningly embellished with embroidery and nicely finished with mother of pearl buttons to keep your duvet comfortably inside. 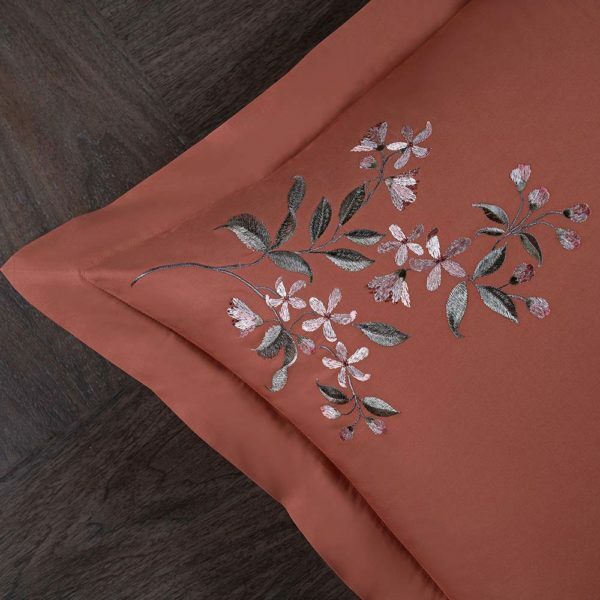 For a complete look, you can layer the top sheet beneath your duvet cover and fold over the top to create a cuff that shows the lovely embroidered hem of the sheet. 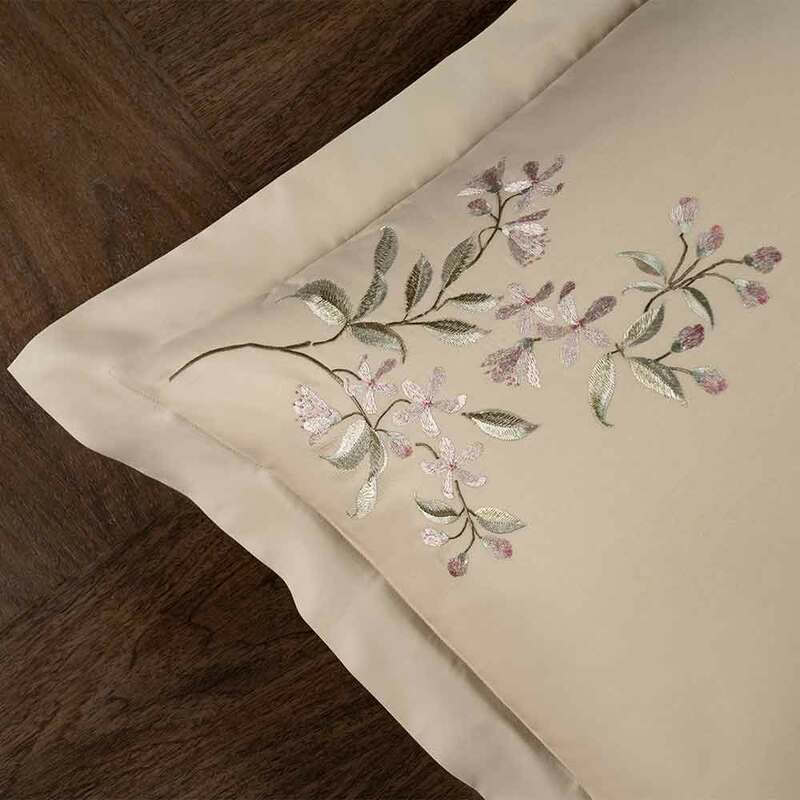 Add the final touch with one of our decorative cushions to create a hotel worthy look on your bed. 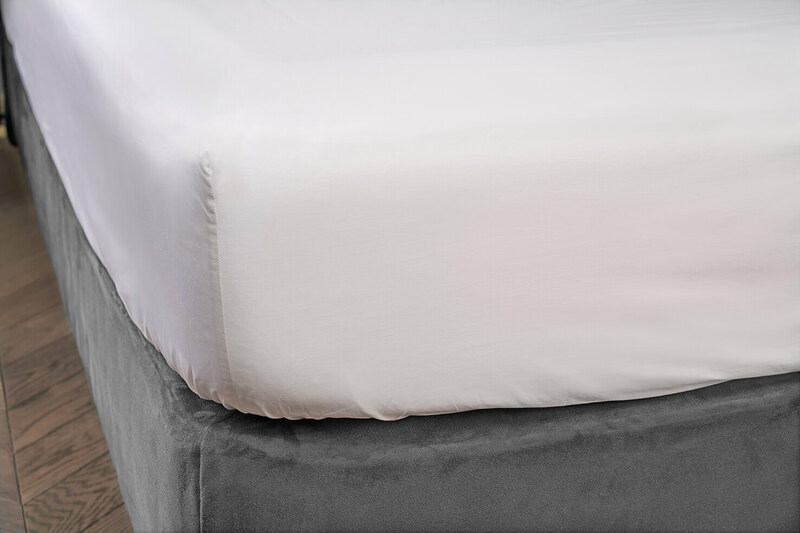 Super breathable with long staple-cotton, our fitted sheets are plain coloured and fit mattresses up to 40 centimeter. The elasticated corners will keep it secure on your mattress even as you move in your sleep.